This was a big week for Middle-Late Pleistocene fossil humans. 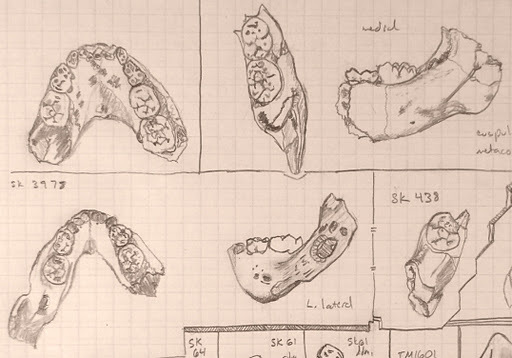 Chun-Hsiang Chang and colleagues describe a mandible dredged up off the western coast of Taiwan, which they note in the title as, “The first archaic Homo” fossil known from the region. The geological context makes it difficult to date the specimen precisely, but authors argue it is probably younger than 190 thousand years old. The Penghu mandible. Figure 3. From Chang et al. In life, this individual was fully grown but appears never to have developed third molars (the “wisdom teeth”). Such “third molar agenesis” is relatively rare before modern times, but is also seen in the D2735 Homo erectus mandible from Dmanisi. I wouldn’t make much of this coincidence, but it does raise the question of whether the cause of agenesis, not uncommon today, was the same then as now. 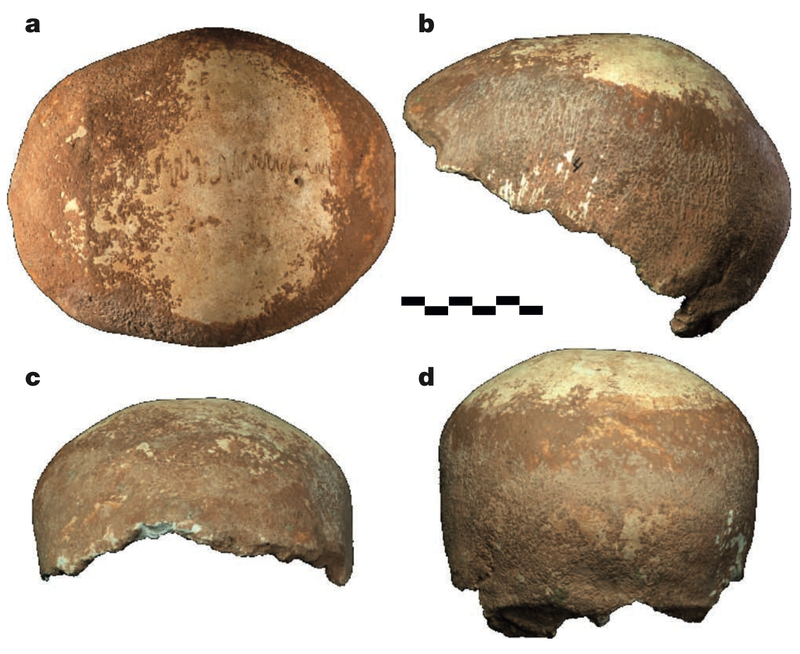 Shortly after the announcement of the Penghu mandible, Israel Hershkovitz and colleagues presented a 55,000 year old brain case from Manot Cave in the Levant. The calvaria (fancy word for brain case) looks very similar to the skulls of the slightly younger “anatomically modern” humans of the Upper Paleolithic in Europe, albeit with a few Neandertal-like traits here and there (hey, just like many of the Upper Paleolithic humans). The Manot calvaria (Figure 2 from Hershkovitz et al.) The views are (a-d) from the top with front to the left; from the left; from the front; and from the back. Extra credit: In the top view (a), can you identify the features telling that the front is to the left? John Hawks has good posts dedicated to both Penghu and Manot. 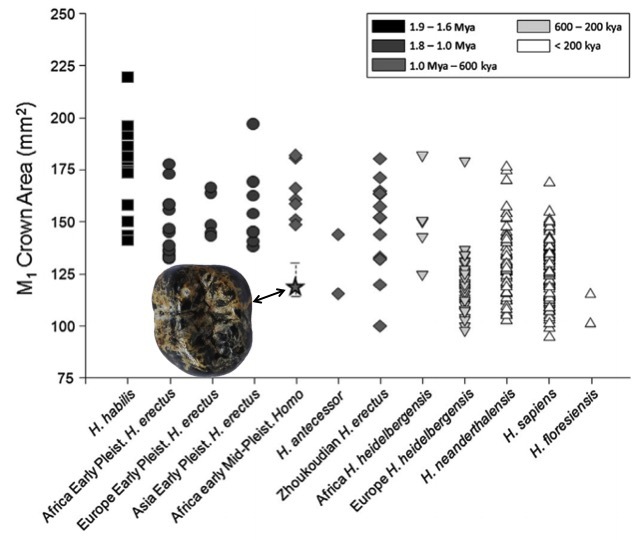 The upshot of these discoveries is that Middle and Late Pleistocene human population diversity, and the interactions between these populations, are probably much more complicated and interesting than the old model of ‘modern’ humans arising singly in Africa and replacing ‘archaic’ humans in different parts of the globe. With the technological advances and fossil discoveries of the past decade, the rather simple Replacement model has given way to a better appreciation of true complexity of human evolution toward the end of the Ice Age. Both of these new papers reflect this new perspective. Along these lines, accompanying the Manot paper in Nature is an editorial, “Human history defies easy stories.” What caught my attention reading this (anonymous?) commentary is that it puts scientific interpretations of the past into a social and historical context. The author notes that the traditional story of modern humans arising, spreading and eradicating other groups of human has “imperialist framing, in which evolution and replacement can be justified after the fact as a kind of manifest destiny.” Science doesn’t occur in a vacuum, it’s done by people whose minds and creativities are molded in specific historical, economic and cultural contexts. This editorial comment makes one wonder how the human fossil record would have been interpreted, had most of it not discovered against the social backdrop of ruthless capitalism. Last year I brought up the implications of the small female pelvis from Gona, Ethiopia for body size variation in Homo erectus (see previous post). This individual was much smaller than other Middle Pleistocene Homo fossils, indicating size variation comparable to highly sexually dimorphic gorillas and unlike recent human populations. Before this pelvis, most known Homo erectus fossils were fairly large (comparable to living people), with only a few hints of much smaller individuals (e.g., KNM-ER 427000, KNM-OL 45500). Now joining this petite party, this tiny troop, this little lot, this compact cadre, etc., is KNM-WT 51261, a 750,000 year old molar from Kenya (Maddux et al., in press). Occlusal area for first molars in the genus Homo. The tooth image is from Fig. 2 and the plot from Fig. 3 in Maddux et al. Lookit how tiny it is! This ‘new’ specimen substantially increases the range of size variation among early African H. erectus molars, although the expanded range isn’t remarkable compared with later Homo samples such as from Zhoukoudian cave in China or Neandertals. What is different, though, is that most of the highly variable samples show a fairly continuous range of variation, while the WT 51261 molar is a considerable outlier from the rest of the African Middle Pleistocene sample (a lot like the situation with the Gona pelvis). So this tooth re-raises an important question: were smaller specimens like Gona and WT 51261 as rare in life as they are in the fossil record, or was such great size variation common in the Middle Pleistocene? How we reconstruct what kind of animal Homo erectus was differs depending on the answer to this question. Trying to start on finishing my dissertation, I’m thinking about the issue dental development and how it relates to skeletal growth. Specifically I’m trying to decide whether I want to analyze my human and Australopithecus robustus samples based on estimates of “dental age,” or if I want to be a bit more cavalier and divide the sample into rougher age categories. To avoid copyright issues, here’s a crappy picture I drew a few years ago, of the youngest A. robustus jaws. The youngest, “SK 438” is erupting its last baby tooth (bottom right), while the others have their full set of baby teeth, and none of them has its first adult tooth yet. I don’t think I can estimate ages accurately enough to capture the true chronological difference between SK 438 and the rest. Would I be better off just dividing the group into “younger” (SK 438) and “older” (the rest) infants, or even lumping them all together as simply “infants”? On the other hand, I could divide my sample into coarse age categories – say, putting specimens who’ve attained a given level of dental development in the same group, such as ‘infant, child, juvenile, adolescent, and young adult.’ This method loses the temporal resolution of the first method, but also avoids the possible errors of assigning strict ages I’m pretty sure I would not infer accurately. But, tooth development does not show a clean 1-to-1 relationship with other systems in the body, such as hormonal axes or the bony skeleton. It’s uncertain how accurately kids can be put in any of the above categories (based on general life history variables; Bogin 1999) based on dental development. Variation is a problem for biologists. The theory of evolution was conceived as a way to explain the conundrum of why there is such remarkable variation in the forms of life that Earth is lucky to have harbored. The problem of within-species variation in the relative timing of skeletal and dental development isn’t just a bug-bear for paleoanthropologists. It’s important to medical doctors and pathologists investigating genetically-based developmental disorders, and to epidemiologists looking at aspects of population health, such as the prevalence of growth stunting. It’s also important for forensics specialists who need to use biological clues about the age and identity of crime victims and defendants. 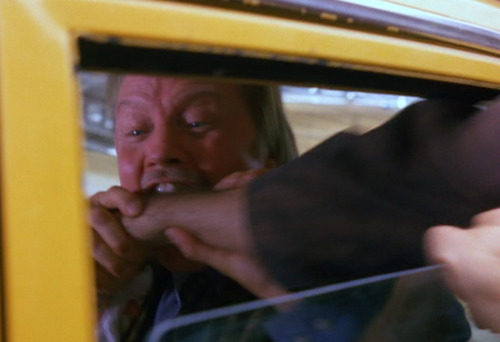 I mean, how else would we know whether Jon Voight bit both Kramer and this pencil? The silver lining, I suppose, on this storm-cloud of biological of variation is that without variation there cannot be evolution. And stasis is boring. 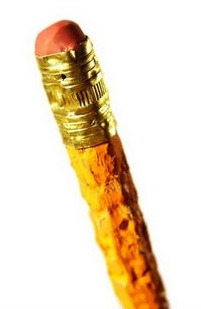 If nothing changed since the Cambrian, none of us would be here today. We’d probably be some gross stupid monstrous thing, like this Hallucigenia to the right. It’s the quirks and weird variants that arise randomly, that make evolution possible. If individuals all developed exactly the same, then all organisms through all time would be the exact same, and probably all would have gone extinct as they succumbed to some sinister fate, no new variants would have arisen that may have been able to survive the devastation. So variation is a blessing and a curse. Individual and population variation make it difficult to state norms such as what is “average” or “healthy,” and nothing to be concerned about. Variation is also the magic ingredient of adaptation, without which Life could not survive the randomness inherent in any environment. Also 30 Rock, The Office and Seinfeld. Well done, NBC. The University of Michigan’s Anthropology graduate association (MAGA) is hosting a FREE anthropology conference here in Ann Arbor this coming Saturday, 27 March. The event is titled, “Is Boas Dead?! Four-field anthropology in the 21st Century,” (click the title for the link) and will feature a day of anthropology talks in all four fields (well, archaeology didn’t really represent, unfortunately). So if you can make it out, come see what the Michigan anthropology graduate students are up to! It’s free, and better yet, educational! Or maybe the free part is more exciting.